It’s a continual struggle not to freak out about the state of our lives or community or the world. It makes you want to stay home, draw the shades, enjoy your ultra-soft 300-thread count sheets from Target, sip on your homemade chai and binge the first season of Netflix’s Ozark. But, really, you can’t do that, at least not for very long. We are continually challenged to meet situations with grace and equanimity, even when the proverbial a-hole cuts us off in traffic. Conversely, watching your neighbor pour motor oil down the sewer requires some action on your part. There is a constant pull of hanging back and acting out. What’s in the middle is, well, the middle ground or middle path. It’s the intersection of doing and not doing. Taking this concept onto our yoga mat, we have the Sanskirt term stiram and sukham from Patanjali’s Yoga Sutra II.46. Stiram means being steadfast, strong, resolute and courageous. Add to that balanced and grounded. Our yoga postures all have these qualities even in a common posture like tree pose or a complicated arm balance like astavakrasana. Without steadiness, our practice can become dull, unstructured, off-balance and lack enthusiasm. All yoga postures, besides savasana, will have the quality of stiram. Sukham is translated, according to Dr. Robert Svoboda in his article for Yoga International (1),“happy, good, joyful, delightful, easy, agreeable, gentle, mild, and virtuous.” The literal meaning is “good space,” from the root words su (good) and kha (space). As opposed to stiram, sukham means comfort and ease. In our yoga poses, even difficult ones, there needs to be a sense of ease and comfort, even if it’s just the eyeballs! It’s all too easy to make yoga difficult and hard, both in effort and form. Mostly I see students struggling to get the pose “right” with serious faces and gripped toes. This is not the middle path. In all poses, there is an ability to relax even if it’s just the shoulders or face or toes and breath. For example, in Warrior II, much of the effort is from the waist down with the legs being steady and strong. The upper half of the body can find the comfort and ease. Through both of these opposing actions, the middle ground is achieved and there is a sense of balance and calm. In each pose there is both simultaneously stiram and sukham–both exist. 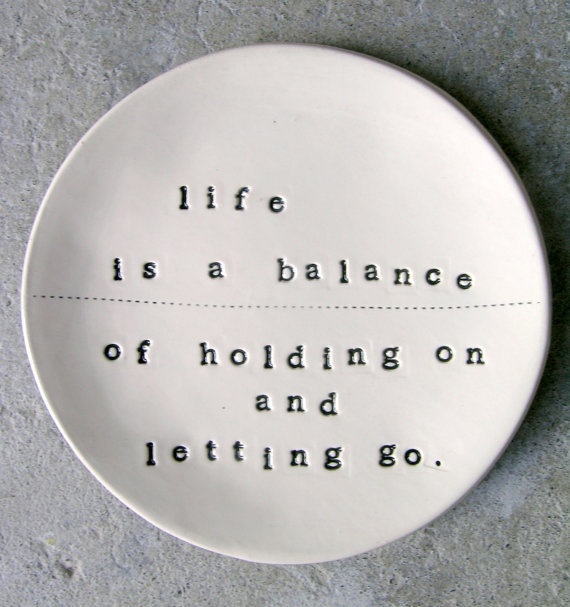 Your job (should you choose to accept it) is to balance the two. Take this into your life outside of the yoga class. Notice the situations that require courage and strength and at the same time ease and softness. It’s tricky and may take some practice. But, now that you know what to look for, there’s no going back. Can you find middle ground right between effort and ease in interactions with your child or your boss or partner? You want conviction and strength in your beliefs and values, but also a softness to allow room for new input and empathy. With too much effort you become rigid; too much comfort, you become apathetic. Find the middle ground. See you all soon. I always welcome your input. We are a community, you know. I’m at cheryl@cherylthomas.com. (1) Dr. Robert Svoboda has a more inclusive and informed article at Yoga International which you can find here. Plank pose is hard. It requires muscular effort of the entire body and a good dose of balance and concentration. It’s usually sandwiched between downward dog and chaturanga (pushup) and is also the preparatory pose for many arm balances. 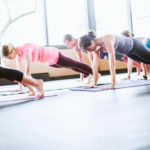 I wasn’t familiar with the Sanskrit name for plank, but a trusty google search found phalakasana, kumbhakasana, and utthita chaturanga dandasana. Take your pick. 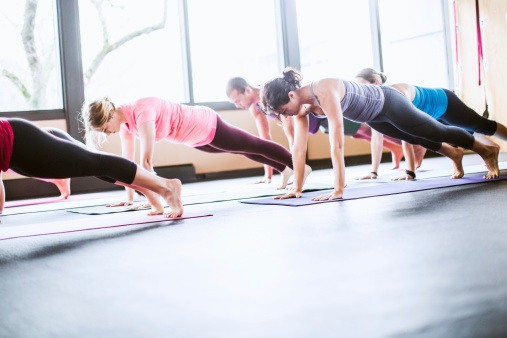 Think of plank as the total body strengthener that it is It’s plenty challenging, although accessible most students, especially with a variety of modification , if necessary. The pose is supported by just the toes and the hands, which is not much surface area of support for 140+ pound person with gravity pushing down the entire length of your body. It’s a difficult pose and a great strength builder. When in plank your torso is going to want to either sag or pike up and it’s most most difficult to stay perfectly straight, like a board plank. Your job is to counteract the downward press of gravity. Stay long by reaching the crown of your head forward and your heels back. Work the legs like crazy (activate “both” the quadriceps and hamstrings). The abdominal muscles must strongly work to resist the center of the plank sagging/collapsing toward the ground. Puff up the upper back making space between the shoulder blades to avoid the chest from dropping. The back of the neck is long and your head is drawing forward. And, not that you need another “and”, you are having to skillfully balance on 4 small points of contact with the ground. This is no easy task, so if you find it difficult, you’re not alone. There are a lot of fun variations, fun being a relative term. While in plank, you can experiment with lifting a foot or walking both feet to the side (if you do this, try to keep the hips level). Play with lifting each arm. These variations will all challenge not only your strength, but add more of balance component as well. There are two other orientations of plank–side plank (vasisthasana) and upward facing plank (purvottanasana). Basically, the instructions stay the same, but the force of gravity is being applied to different areas, causing a different set of muscles to engage. 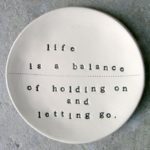 The need for strength and balance is still present. Plank can be bothersome on the shoulders, lower back and wrists, especially if done without the proper alignment and the requisite strength. If your wrists are buggy, come down on your elbows on the mat or on a block. You can also walk your hand forward, just a bit, if that helps. If you feel this in your lower back, come down on the knees, and pull the belly to the back body to support the lower back and build abdominal strength. If the shoulders are sagging together, try taking your pose higher, like on a wall or chair. There are times and situations where doing the full plank pose may not be beneficial. Fortunately, there are lots of modifications and probably some you can make up. You can put both knees down or put one knee down. Come onto your elbows or put your elbows on a block(s). Do plank at a different angle by doing it against a wall or with your hands on a table, countertop or a chair. To improve your strength, try increasing your time in plank and playing with some of the variations. It’s easy to set up, doesn’t take much space. You can do it in your sweats or jammies and even while watching Handmade’s Tale. As always, please let me know if have any questions or comments about anything I’ve written or if you’d just like to email me to say “hi”. I’m a big fan of interdependence, connection, friendship. Should you put your foot over your head? Should you use no, 3 or 5 blankets in shoulderstand? Should you bend your knees in a forward fold. If you do not practice yoga, you may be wondering why in the hell we’d put our foot over our heads or we’d stand on our shoulders. When we see limber, young white women on the cover of the yoga magazines in fancy poses and colorful tights and tops, we get the impression that this is yoga. It may be for them, but may not be for you. It’s always frustrating to hear that people do not try yoga because they are too stiff or have bad balance, as if touching your toes with straight legs is “yoga”. Perhaps you try the poses in class and wonder why you have such difficulty. 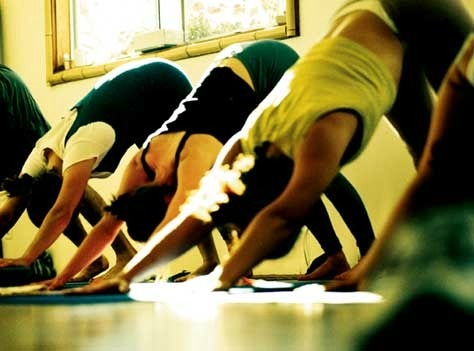 You may become discouraged or force your body into painful poses or quit yoga all together. Let’s talk about what is “normal” flexibility? There’s a term “range of motion”. It’s the measurement of the movement around a joint. It takes into consideration the ligaments, tendons, muscles and bones associated with the joint. A healthy joint should have good range of motion and move in all directions permitted to that joint For example, the range of motion of your elbow is about 50 degrees. Try this. Hold one arm straight ahead of you. Bend your elbow to bring your hand toward your head. It’s considered normal range of motion for your hand comes about as far as your ear (90 degrees would bring your hand to your shoulder). If you’re interested in the range for other joints, see the reference below. Knowing what is normal is helpful in yoga because it gives you a gauge of where we should be heading. This depending a lot, of course, of whether there is an injury or other restrictions. If you have a “normal” range of motion, then you should be quite happy. But, I usually see students struggle mentally and physically because they don’t look like their yoga teacher or neighbor even though they are within a healthy range of motion for that particular joint. Going beyond normal range of motion can have consequences. We are seeing labral tears in the hips of yoga students who are overdoing hip stretching (see link below). What about shoulderstand? The normal range of motion for the neck in flexion (chin toward chest) is 50 degrees. 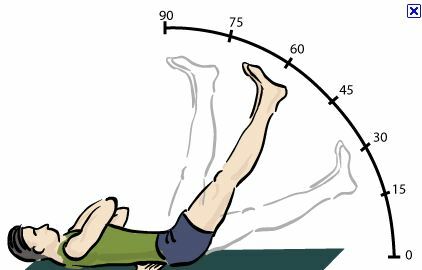 When doing shoulderstand without props, the neck is being pushed to 90 degrees of flexion leading to a flattened cervical spine. So, if it’s painful to do shoulderstand without props you are probably very normal (see Mary Richards and Lizzie Lasater’s video below). It’s understandable to push ourselves to achieve a shape, even though it’s not optimal for the health of the body. I’ve done it and I do it. But, I challenge my body with respect and knowledge, rather than aggressively pushing and forcing. There’s a difference. Hopefully this has given you a starting point to begin to think about what is normal for you. Do You Know What Your Pelvis is Doing? There is the “tuck” and the “tilt”. In all yoga poses, the pelvis is doing something in order to accommodate the shape. Just when things are getting good and the body has found it’s groove, the teacher gives the instruction to change the tilt of the pelvis. You might hear “drop” or “tuck” your tailbone. Whaa? I believe the body has innate intelligence and it does. It’s usually best to let the body to do what it needs to do. Usually, but not always. For example, in back bends, the lower back needs to bend. Simple. The shape and function of the lumbar spine (lower back) is to bend backward (and forward). When backbending, “allow”, not force, your lower back to bend into the dome shape. Tucking or lengthening the tailbone gives the body the opposite information. Here’s another example. When taking the arms up, the body needs to raise the shoulder blades too. Once your arms are up, being asked to pull them down is counterproductive. In mountain pose (tadasana) it’s sometimes tricky to find the correct position of the pelvis, especially because some of us have some pretty bad posture. Years of sitting and slouching or carrying heavy purses or wearing fancy high heeled shoes has skewed the way we stand. I’m included, for sure. The body’s innate intelligence has been hijacked by fancy chairs, airline seats, and book-filled backpacks (especially kids) So, it’s no wonder, when we try to “stand tall” in mountain pose our bodies wonder “how?”. Our default pelvic position may not be optimal. Some of the cause may also be structural, like tight hamstrings, stuck hips, and residuals from previous injuries. 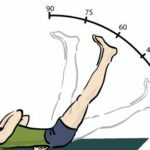 The print and online magazine, Yoga International, has a great article on the specific subject of the pelvic tilt in mountain pose. Many of us are “stuck” in either a posterior or anterior tilt, according to the article. There are animated gifs that illustrate how the pelvis moves to a neutral position. I recommend you take a look. If you’re a student of yoga, you know we move everything, especially the pelvis. Cat/Cow, forward folds and bridge pose all change the tilt of the pelvis. This is compared to other activities like like running, walking, cycling or swimming, which carry a fairly stable pelvic orientation. That’s why yoga should be a part of everyone’s movement regime. We are all different. Some of us look different, come from distant unpronounceable parts of the world, act radically different even when given the same set of circumstances and pray and worship different idols in different ways. However, inside each of us human beings, we are made up of the same goodies, like chromosomes and synapses and the like. All human beings have the same needs and wants. All want to be happy and free from misery. All want to have enough food and shelter and all want to take care of their families. All want to love and be loved, give and receive. No difference. In yoga, we don’t care about your differences. We take everyone. If you have a body and use lungs to exchange your C02, then we want you. We don’t care about you color or creed or whether you can touch your toes. We don’t even care if you have toes. 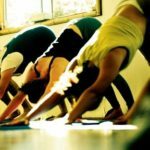 One of the great joys and challenges of being a yoga instructor is to recognize that every student is unique and not just in a physical way. Each student has a different propensity to receive information and translate that to body movement. Yoga is more, much, much more than you see on the cover of the fancy yoga magazines at the Whole Foods checkout line. It’s too easy to dismiss yoga as another fad or only for skinny, white girls. It’s said that yoga postures were originally used to prepare the body for long meditations. Most of us don’t sit in meditation for hours, but we do have to sit in overpriced office chairs, faux-leather cars seats and Ikea’s Poang chair, one of which I own. If you’re breathing and moving with conscious attention and focus on your body and state of mind, then you’re doing yoga. You can be sitting in a hospital bed raising and lowering your arms or on a peak doing a headstand. I remember with affection one of my first yoga teachers, Larry Schultz. His studio was a large and carpeted with two loud, clangy industrial heaters that clicked on and off during the practice, blowing warm air on warm bodies. With tall ceilings it had once been a sewing factory in the changing south of Market area. Sometimes there was music, sometimes not. No props, no mirrors. The room was usually full, but not packed–30-50 students. Larry welcomed everyone, regardless of limitations or yoga experience. We all practiced as a group, each in our own way. Some students were beginners, some were advanced. You did what you could and sometimes what you couldn’t and that was that. It made no difference. Larry would often quote Patthabi Jois, “practice yoga and all is coming”. There was an innocence about the yoga practice and lots of freedom to explore your body and what it would easily do and where it resisted. Lululemon was just starting in Vancouver and Lucy was still Charlie Brown’s friend. I look back on that time with fondness and a bit of longing.